Halloween maybe over but I feel like I have been posting Halloween photoshoot forever and it's not over yet! But, I know there’s always time to appreciate a good ghost photos, right? These photos was taken last week at Manila North Cemetery but I've practically failed to post this here the other/end of October because I had a little arguing problem with my time. 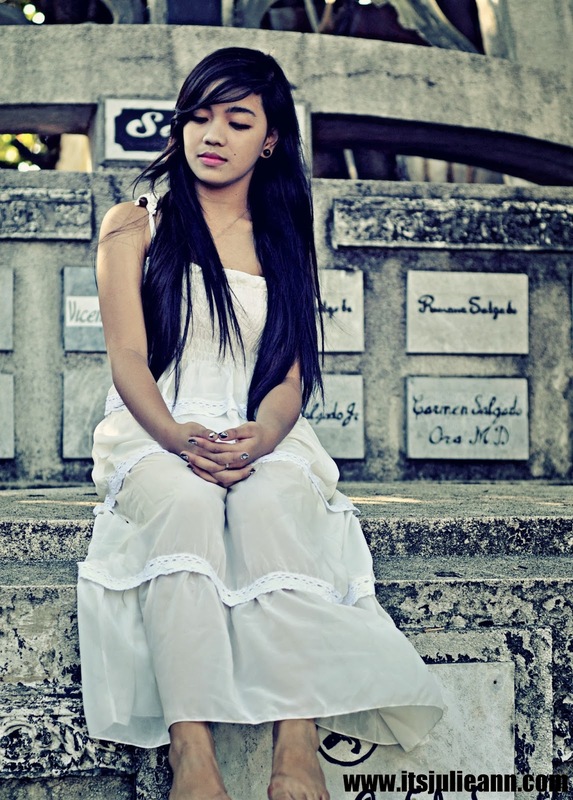 So, here it is now, my version of White Lady with Angel Mae -- my cousin slash my model. The photos are so amazing! Really pretty ! I like your blog. Maybe you can visit my blog and follow me on gfc and bloglovin. The dress is very pretty! I love anything white. care to follow each other in bloglovin ? Love it so so much!! What a gorgeous dress. You look lovely! Yes, i think white dress is beautiful! And wedding dress is almost white!